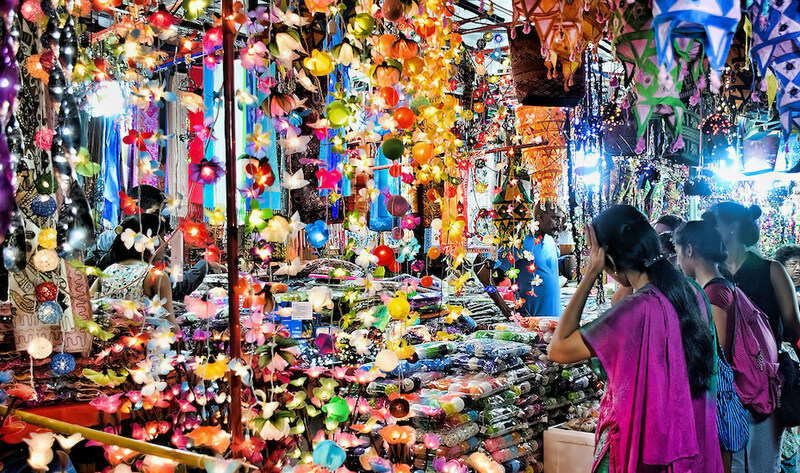 Every year, Little India turns it on for Deepavali with one eye-popping light. Just when you think the street light-up can’t get any more dazzling, out come peacocks guarding Serangoon Road (pictured top). The lights will switch on from 7pm till midnight until 25 November. You seriously can’t miss it. Yes, you do need more lights. Photography: Choo Yut Shing. If you haven’t been to the Michelin-starred The Song of India, drop everything and indulge in a special Deepavali feast. This festive degustation menu is one amazing and unique introduction to Chef Manjunath Mural’s fine dining approach to Indian cuisine. Make your way to this gorgeous black-and-white bungalow for one helluva festive feast: we’re talking four courses meal including an ‘art palette’ with seven different tastings. Chef Mural outdoes himself with a special native menu that brings dishes from India’s many regions to your table in Singapore. 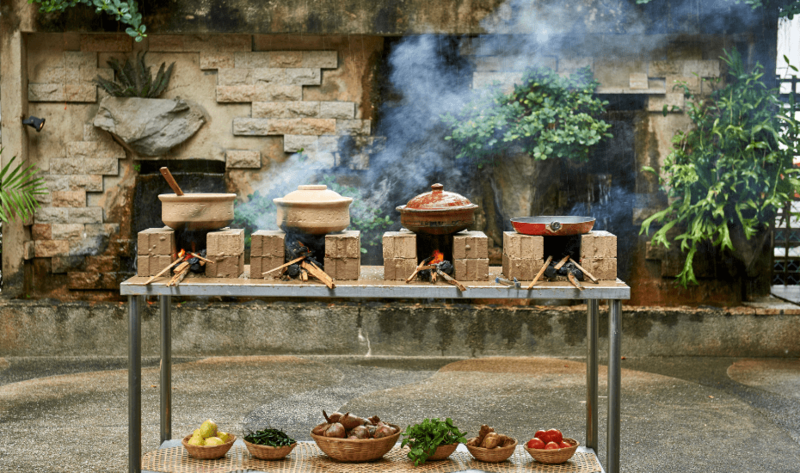 Plus, it’s all cooked in clay pots over outdoor wood-fire burning stoves for those super authentic countryside flavours. We’re still drooling over mildly tangy amti dhal and that Bihari chicken curry that’s slow-cooked, spiced to perfection and paired with deep fried puris. We’re extra pleased to see our favourites from last year make an appearance – sambal barramundi tikka and chargrilled laksa chicken kebab that weave local flavours with classic Indian techniques. Savour that aam ka panna, a flavoured raw mango drink and an excellent palate cleanser, before diving into the traditional Indian desserts. We still can’t pick a favourite between the Bengali misti doi, a lovely and light fro-yo brulee and an epic cheesecake that encases gulab jamuns! Want to pick up a very special Deepavali gift? 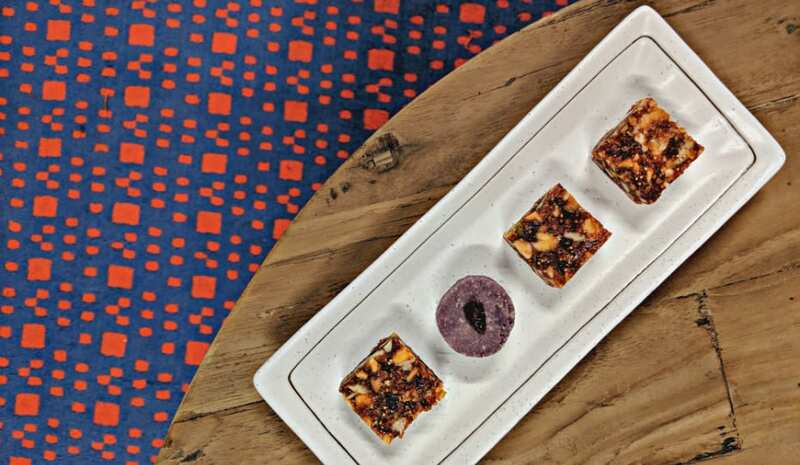 Song of India’s famous mithai (released every year with new limited edition flavours) is sure to impress. Indian sweets gift boxes are available at $45++ (for an assortment of 3 selections of 15 sweets) and $109++ (an assortment of 6 varieties of 15 sweets). The 4-course menu is available during lunch and dinner from 3 to 10 November 2018 at $79++ per pax. A vegetarian option is available. For reservations of the Mithai gift boxes or the Deepavali dinner menu, email namaste@songofindia.com.sg or call 6836 0055. If you’ve got a sweet tooth, this is your chance to indulge! Punjab Grill at The Shoppes at Marina Bay Sands has Diwali sweet boxes that are filled with traditional Indian festive treats with a gourmet twist. We’ve had our share and have already picked favourites – the alphonso mango sweet with white choco and silver foil is supreme while the lovely Darjeeling green tea and pista burfi made our macha-loving colleagues very happy. If you want to make a healthier choice, the sugarfree dates and fig sweets are chewy, chunky and energy-ball like. 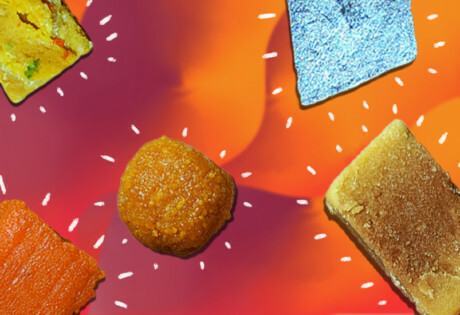 Check out our guide to iconic Indian sweets you can grab from Little India if you’re hooked. If there’s a great market happening, there isn’t much that will hold us back from diving in, but if crowds really aren’t your thing, stand back and keep enjoying those lights. 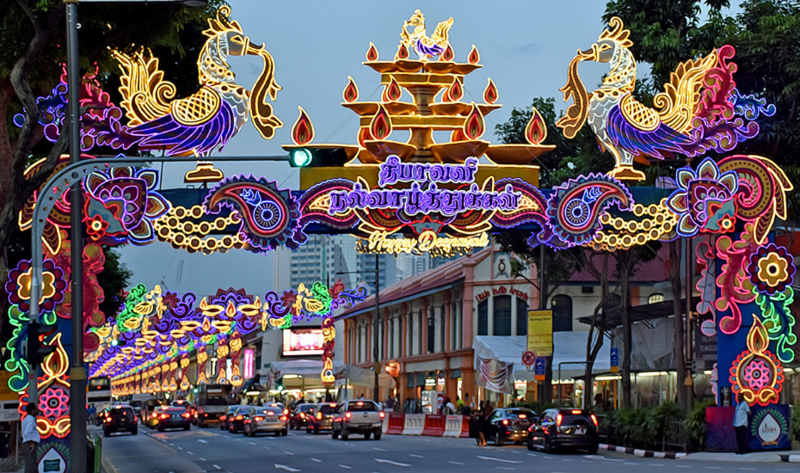 Deepavali Festival village pops up around Campbell Lane and Hastings Road until 6 November 2018. 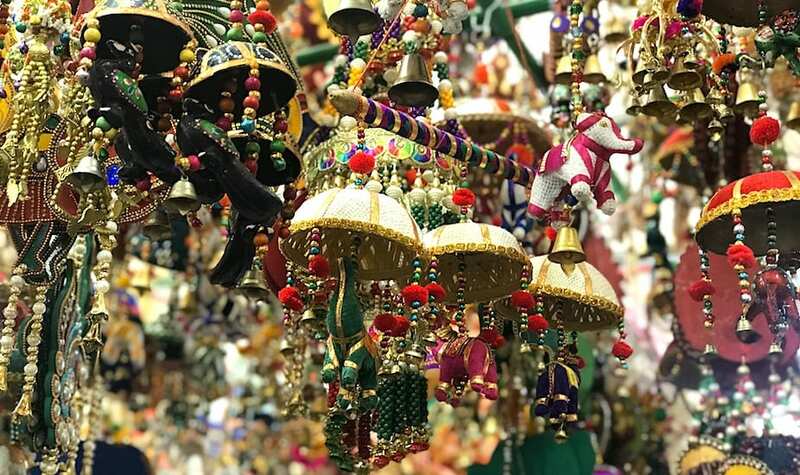 It’s open during the day and continues into a night market heaving with glittering decorations, peacock feathers, festive clothing and flower garlands and stacks on stacks of treats. Check it out from 10am to 10pm: you won’t leave empty-handed or without a traditional henna tattoo. 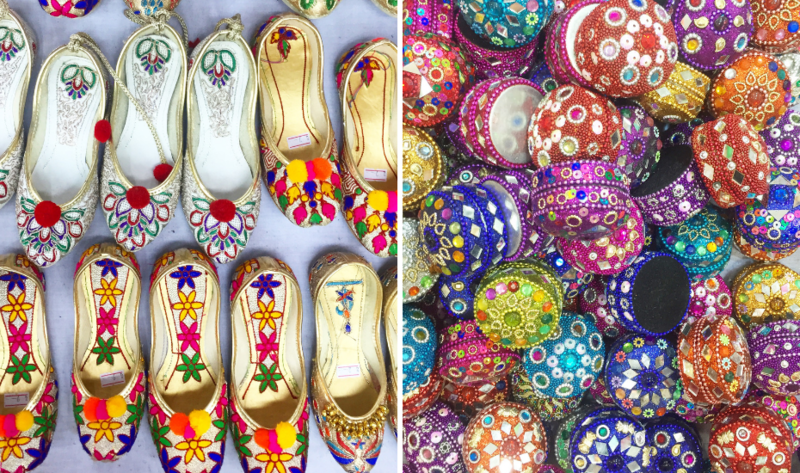 Handcrafted handbags at Little India’s Deepavali market. Photography: Selina Altomonte. Inside Sri Veeramakaliamman temple. Photography: Choo Yut Shing. 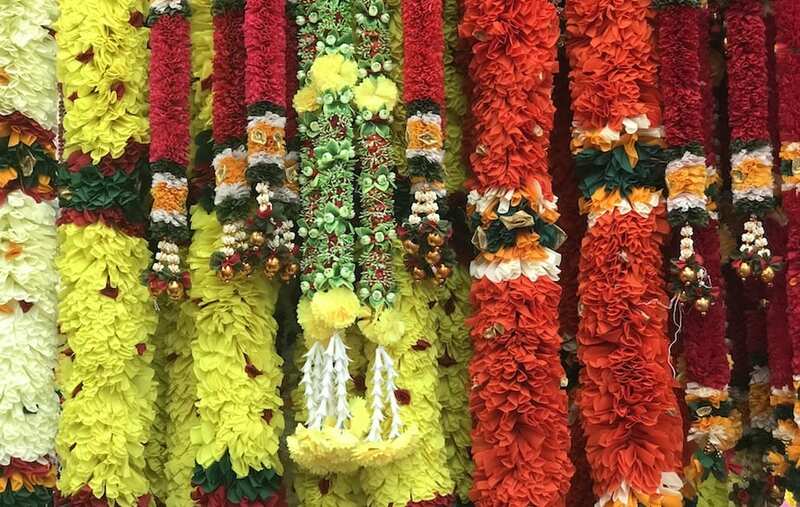 The jewel in Little India’s crown is the awe-inspiring Sri Veeramakaliamman Temple on Serangoon Road. Dedicated to Kali, the Hindu Goddess of power, you can spend all day taking in its intricate details. This temple was established in 1855 – making it one of the oldest religious sites in Singapore. 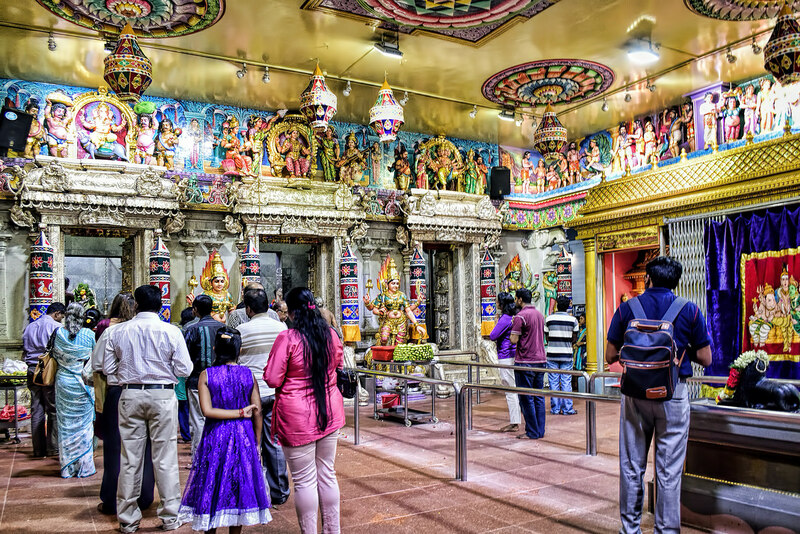 When in Chinatown, stop by Singapore’s biggest and oldest temple, Sri Mariamman on South Bridge Road, which is famous for its breathtaking painted ceilings and hosting the Fire Walking Ceremony (Theemithi) the week before Deepavali. On the East? Head to Sri Senpaga Vinayagar Temple on Ceylon Road. With its five-tiered, 68 feet high golden tower it’s one of Katong’s gems and is over 120 years old – and has a unique musical pillar that produces different notes when tapped! 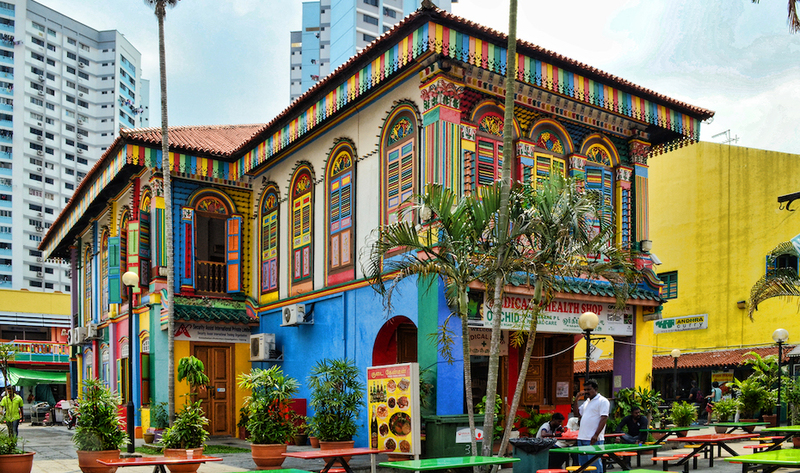 Little India landmark House of Tan Teng Niah. Photography: Choo Yut Shing. 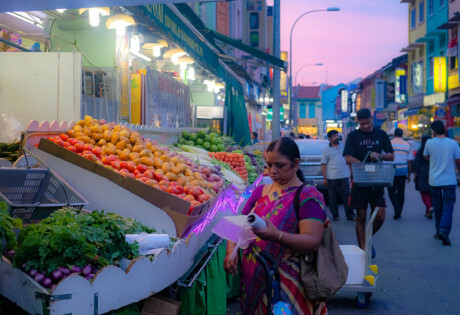 Little India is just as colourful during the daytime (and on any day of the year) – sure everyone knows about Tekka Market and Banana Leaf Apolo, and it’s a rite of passage to get lost in Mustafa’s at least once in one’s lifetime. But if you want the inside stories on Little India and tips on where to pick up a masala dabba or copper kitchenware for a steal, who does the best eyebrow threading in town, where to get the best biryani at Tekka or feast on dosa for five dollars, our hot tip is to join a walking tour of the neighbourhood. 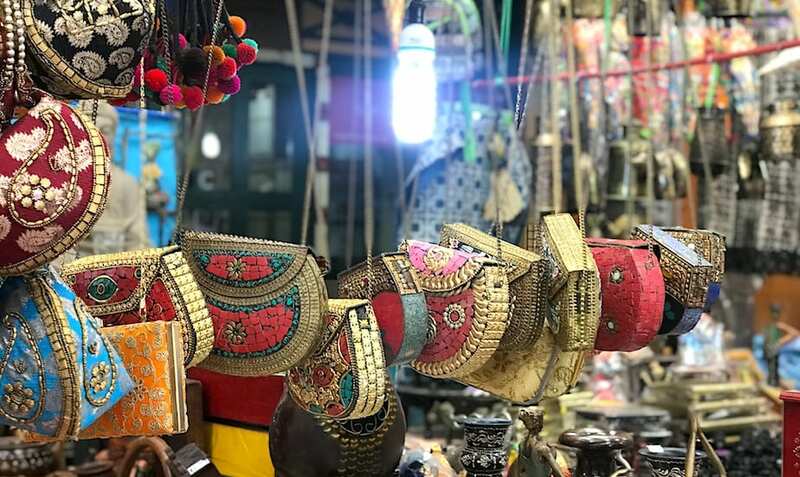 We’ve tagged along on Pooja Monahar’s Road to India tour (join her closed group on Facebook for details), and self-professed ‘food explorer’ Karni Tomer’s Tekka Market tour at Wok ‘n’ Stroll and come out the other side loaded with goodies and a new perspective on this pocket of the city. 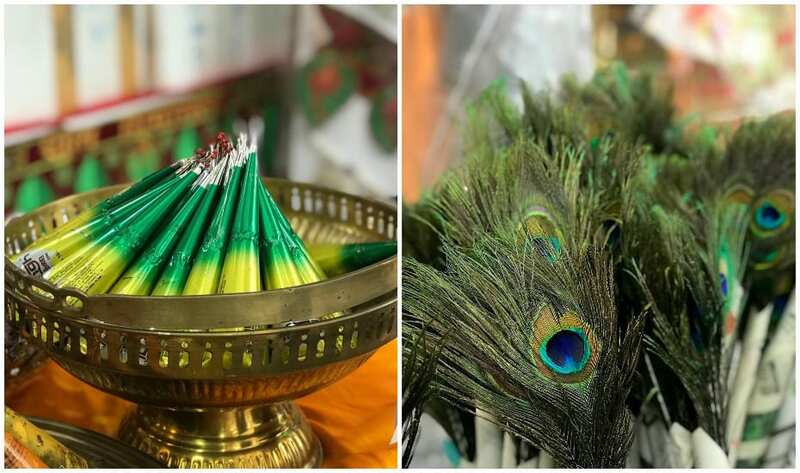 Looking for ways to celebrate Deepavali with kids? Head to our sister site HoneyKids Asia for a guide to Deepavali for families.